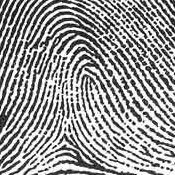 Before we begin with describing the three patterns of fingerprints, it will help to know what some of the terms mean. 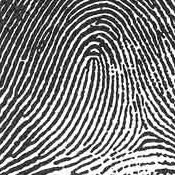 Ridge is defined as a black line that is made when an inked fingerprint is pressed against paper. Recurving ridge is one ridge that creates an inverted ‘U’ shape. Delta is defined when two parallel ridges diverge and go in opposite directions. This most resembles a triangle shape. The term delta is easy to remember, just think of a river that dumps out into the ocean or lake. Radial is the bone in your forearm that is closest to your thumb. Ulna is the bone in your forearm that is closest to your pinky finger. 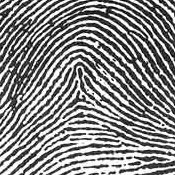 Arch fingerprints are the least common, with only 5% of the population having one or more. Females are more likely than males to have arches. Arches are defined by the ridges flowing from one side of the print, rising slightly upward toward the middle and then flowing out the other side. It mostly resembles a moutain range or ocean wave. A plain arch is further defined as having no upthrust in the midde of the print. The ridges flow smoothly from one side to the other. 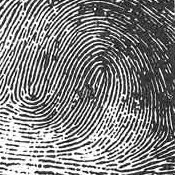 Loop fingerprints are the most common, with 65% of the population having one or more. Loops are defined as having one recurving ridge, one delta, and a ridge count of at least one. 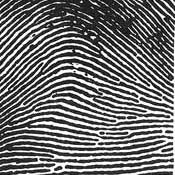 If a fingerprint is missing any of these characteristics, it is automatically classified as a tented arch. An ulnar loop is defined as a loop with the ridges entering and exiting on the side that is closest to the pinky finger. It is called ulnar loop because the ridges dump out closest the ulna bone in the forearm. On the right hand, the loop will flow out on the left side. On the left hand, the loop will out on the right side. 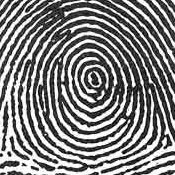 A radial loop is defined as a loop with the ridges entering and exiting on the side that is closest to the thumb. 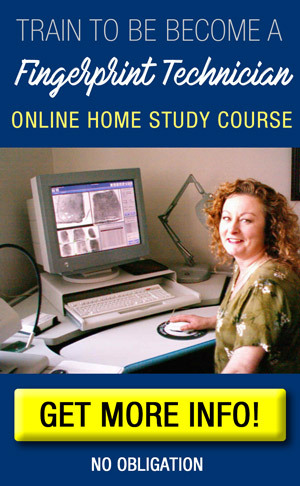 It is called radial loop because the ridges dump out closest the radial bone in the forearm. On the right hand, the loop will flow out on the right side. On the left hand, the loop will out on the left side. 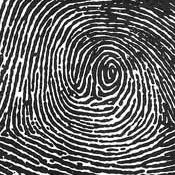 Whorl fingerprints are seen on 30% of the population. They can further be classified into four sub-categories. A plain whorl is defined as having 2 deltas, and a recurving ridge in front of each. A double loop whorl also follows the rules of a plain whorl, but in addition, has 2 recurving ridges in the center of the whorl that do not touch each other. A central pocket whorl also follows the rules of the plain whorl, but when an imaginary line is drawn between the 2 deltas, it does not touch any sufficient recurves. 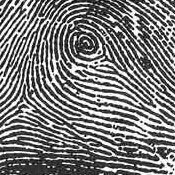 An accidental whorl also follows the rules of the plain whorl, but includes 2 or more other pattern types not including a plain arch.